A loan of $700 helped to pay his school fees and hostel fees. 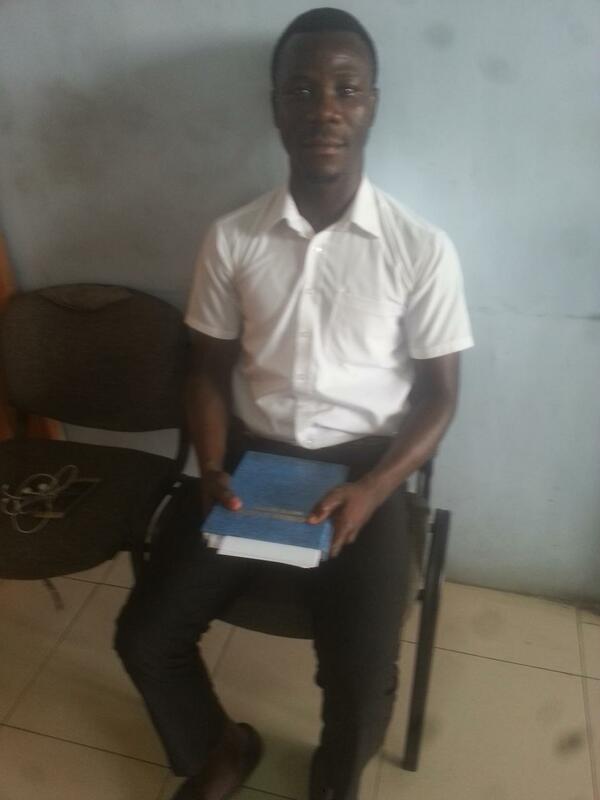 Anthony is currently in his second year pursuing a Diploma in Basic studies at the Accra College of Education. He is soliciting for this loan to help him pay for his fees. He has worked as a laborer on vacations to try and save up enough to pay his tuition fees. He loves to teach, thus he is pursuing this line of work. So the completion of his education would enable him to impact the younger generations positively. It would also provide him with financial security, and thus benefit his entire family and the society at large. His profession inspires him to work harder towards the realization of his goals because he has a future task of helping to shape the young ones. He would be affected very much if he is denied this loan because he has no other source of help. His country is still developing; hence much attention is needed to be given to the educational sector to help it reach maximum potential. It covers tuition costs of low-income students and offers flexible repayment. Kingsbridge Microfinance is a licensed, non-bank financial institution that can take deposits and is regulated by the Bank of Ghana. The Kingsbridge loans on Kiva are aimed at assisting low-income students attending accredited tertiary education institutions in Ghana with their tuition and living expenses. Kingsbridge offers loans for students who have some source of income and are able to pay the loan installment on an ongoing basis, as well as loans for students with no income who can repay the loan once they complete their education and secure employment. Kiva supports Kingsbridge’s work to provide low-income students access to loans that will help them further their education. The student loan sector in Ghana is generally underfunded mainly due to perceived risks, so Kiva fundraising will be especially impactful and will allow loans to be priced at below prevailing market rate. Kingsbridge also offer business loans to budding entrepreneurs in Ghana. Kiva’s support would also allow the programs to grow and expand to cover more geographic areas.